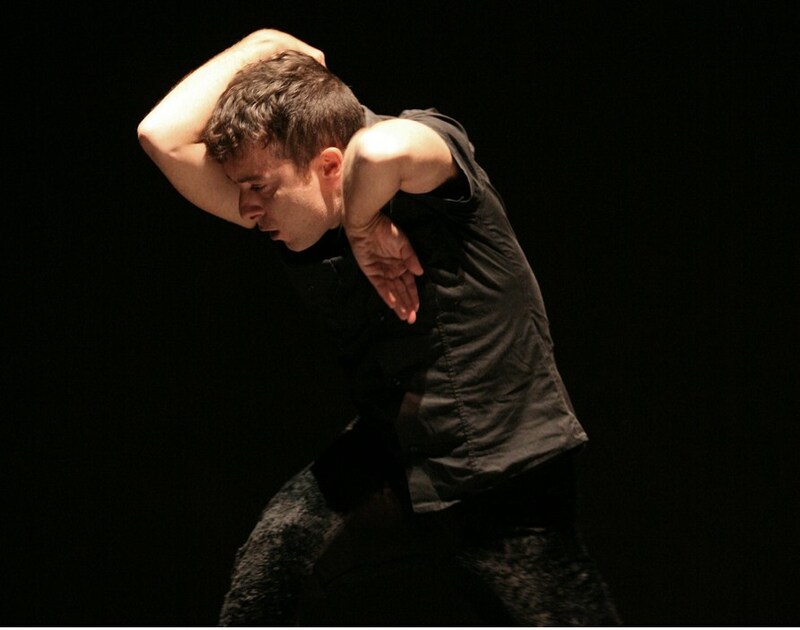 Fabrizio Favale is an award-winning Italian dancer and choreographer. He runs the “Le Supplici” dance company, based in Bologna where he lives and works since many years. He will present a dance performance, called Il gioco del gregge di capre, through a video installation . Contemporary dance lives alongside visual arts in a 12 minutes solo performance: Fabrizio Favale will create an onsite performance side by side with Alessandro Bergonzoni’s works. Representing his new and evolving body of imagery depicting human and animal figures, Il Gioco del Gregge di Capre wonders about the ancient themes of animal and human sympathies, but instead in the context of the city and the human-built environment. Working with myth and symbolic animal figures the solo is a result of a composition of a mixture between the real, the body that goes through the dynamics, and the fantastic, the background of the images on which the movements are reflected. The dancer develops the dynamics observed, but also imagined, in flocks of goats. Fabrizo Favale will perform for the opening and, throughout the hole exhibition, the solo will be presented with the means of a video projection. According to the artist’s wish, the aim of the performance is to remind people that “Dance is an arrow that goes through sites, gestures, eyes and at the moment in which it flows, it has already passed, it has already abandoned that shape to become a new one. The instability created by the silent flow of his movements, the syncopated rhythm, the suspension of his breaths and the comforting and regular beat of our hearts evoke the flight from earth suggested by Bergonzoni himself.